Belgian-Style Pale Ale from Summit Brewing Company of St. Paul, Minnesota. ST. PAUL, Minn. | The days are getting shorter. The nights are getting cooler. All across the Midwest, folks are reaching for their favorite flannels and fall-flavored beers. And though we enjoy pumpkin spice as much as the next nutmeg aficionado, we’ve got something different for you this season: Summit Belgian-Style Pale Ale. Arriving on draft and in 12-oz. cans in early September, this elegant and complex hop-forward pale ale is tailor-made for autumn in Minnesota. With spicy and floral European hops, select malts from Germany, England, and Belgium, and a stellar Belgian yeast strain, Summit Belgian-Style Pale Ale offers up subtle malt flavors of graham cracker, honey, and toast, along with mild hop notes of orange zest and thirst-quenching bitterness. Inspired by the world-class pale ales of Belgium’s West Flanders region — famous for its hop and cereal cultivation — our new, limited-edition Pale Ale marries a traditional recipe and old-world copper equipment with modern ingredients and a new, state-of-the-art fermentation cellar. The results reflect our classical approach to beer and brewing: No gimmicks. No short cuts. Just the beer we’d want to drink, made the best way we know how. And we think you’ll appreciate that. “Autumn in the U.S. tends to be dominated by pumpkin beers and wet-hopped IPAs,” says Head Brewer Damian McConn. “Why not offer beer lovers something different? It’s spritzy and refreshing enough for a warm September day, and hearty enough for a cool October evening.” Sounds about as versatile as a nice denim jacket, doesn’t it? Summit Belgian-Style Pale Ale will be tapped first at the Summit Beer Hall Thursday, August 31, which is the very same day it’s packaged in kegs. Bottom line: you won’t find beer any fresher. Shortly after that, our Belgian Pale will be available on draft and in 6-packs and 12-packs of stylish 12-oz. cans. Serving Tips: Serve at 42–44ºF in a stemmed tulip glass with scallops, mussels, steak frites, Caesar salad, piping-hot sausage, pork tenderloin, or a handful of pralines. 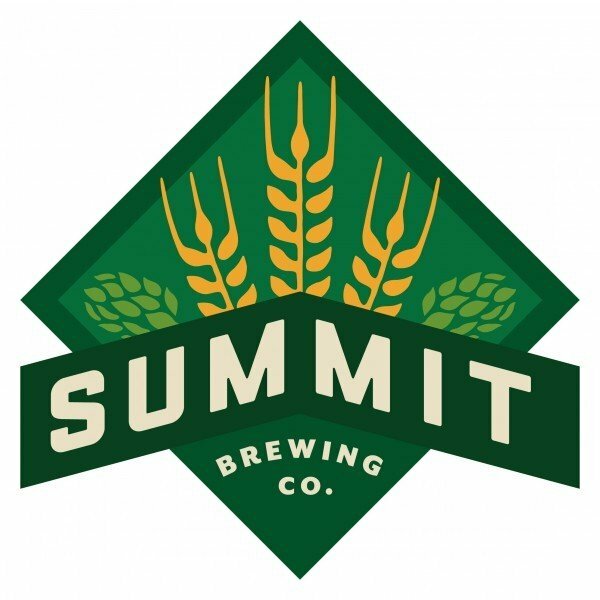 Founded in Saint Paul, Minnesota, in 1986, Summit Brewing Company has remained close to its roots, refreshing thirsty folks throughout the Upper Midwest and Great Lakes regions. Currently available in five states, Summit now produces seven year-round premium craft beers, seven occasionals, four seasonal brews, and the limited-release Unchained Series and Union Series. Since our inception, we’ve been a consistent pioneer in the craft beer movement.